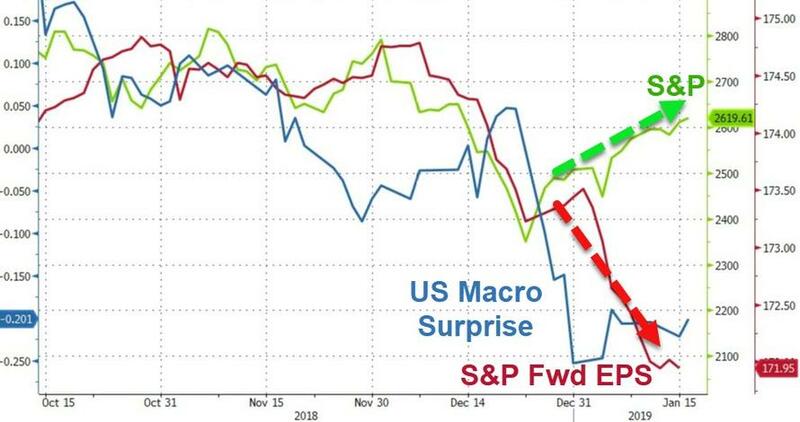 "The Gift That Keeps On Giving" - Trader Warns Market Gains "Just Too Easy"
But, as former fund manager and FX trader Richard Breslow notes, a number of those plunge-protecting central banks are set to meet over the next couple of weeks leading up to the FOMC. None of them are expected to do anything with rates. Still, how they portray their dovish holds will be interesting. I hope they don’t try to sound more upbeat than is warranted (Fed) simply because the stock markets have bounced. Or to appease the hawks (ECB). That really would make it too easy for equity traders. It’s January and, say what they will, not all meetings are live. Nor should they be, absent a crisis. Nevertheless, asset prices look a lot different than a couple of weeks ago when possible rate cuts took their place on the dais. In the aftermath, there have been some wonderfully tradable opportunities. Oddly enough, the meeting with the greatest potential to be a market event is the ECB. Will they change their balance of risks assessment without new staff projections? Either way, traders may jump to bigger conclusions than are warranted. 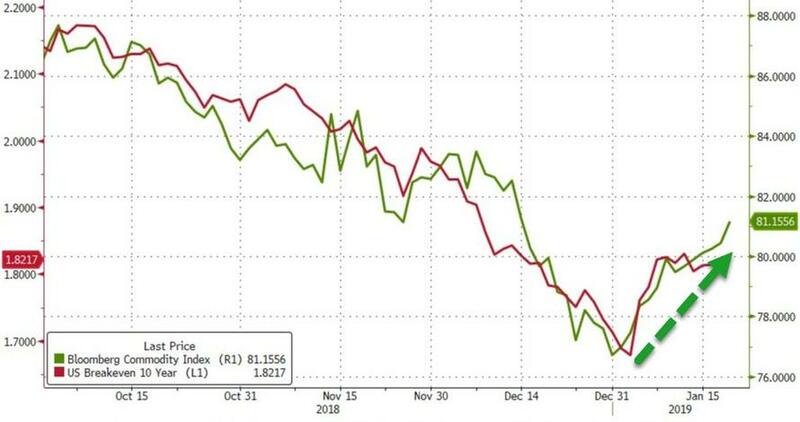 Also, given the latest love affair with emerging markets, just how dovish the Malaysian and South Korean decisions read will matter. And while there isn’t a PBOC meeting, there are enough A-list numbers to set the tone. I realize the topic of the hour is the equity pop and whether the much anticipated breakouts are real or will end up being false. 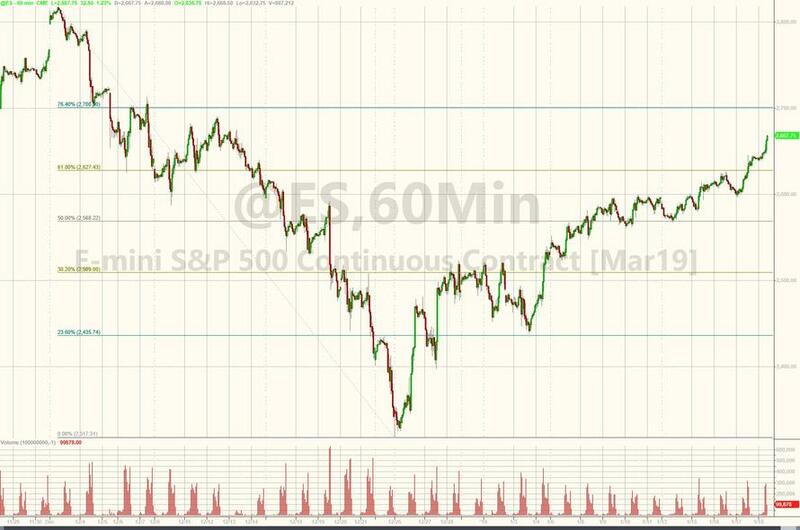 As far as U.S. stocks are concerned, surmounting the well-advertised resistance levels on a report about tariff relief that was quickly denied doesn’t negate the price action but does call into question the move’s credibility. Unless you believe, quite reasonably, that the way the market was trading, it was meant to happen anyway. Ideally, if this is going to continue, we would test lower at some point and hold. That’s how great-looking charts get created. These markets, however, have a habit of trying to take off without solidifying a base, forcing traders to chase their benchmarks. And then they correct. Try not to get too focused on the S&P 500. Unless you are already involved in this jaw-dropping move. Other global indexes are trading well, just not quite to the same extent. Look there for confirmation one way or the other. They are mostly all close so you probably won’t have long to wait. 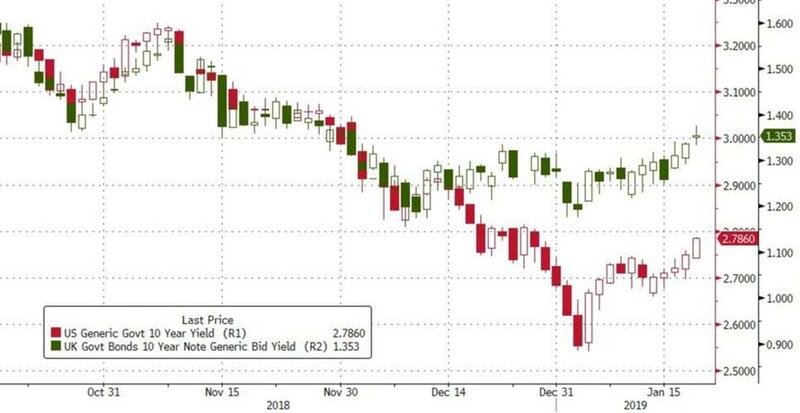 Of equal importance in the grand scheme of things are 10-year Treasury yields which do look like they have formed a base from which to take a look at what’s above. Where they are, near 2.77%, is the first significant challenge, and a new high for the year. If they gain momentum from here, a lot of extant forecasts will have to be reconsidered. U.K. gilt yields look like they caught a lot of people short as they too have been marching methodically higher. Today’s high at 1.38% matters and looks like it was a bridge too far. In a world where we are told there is no inflation, the Bloomberg Commodity Index has been trading like a champ. In classic January fashion it made the YTD low on the first trading day and hasn’t looked back. A nice 6% move with no pain and a lot of gain. Both WTI and copper have done the easy work and now it becomes really interesting. What happens from right here will do a lot to influence narratives about the global economy. Three weeks into the year and the trading landscape has been evolving quickly. Mostly, it’s fair to say, toward the optimistic. Or maybe the bears are just all twisted around with badly located positions. Forget narratives and intuition. The flows have been telling you everything you need to have known. Or at least the Fed has.